Thirteen Australian film and television producers will travel to Los Angeles to meet with over 30 leading U.S. development companies and SVODs, led by Ausfilm, as part of its annual Partner with Australia (PwA) producer connection program next month. The delegation features some of Australia’s most exciting and talented producers: Polly Staniford (Dirt Music); Sarah Shaw (Relic); Tania Chambers (A Few Less Men); Jason Byrne and Clayton Jacobson (Brother’s Nest); Rikki Lea Bestall (When in Rome); Dena Curtis (Grace Beside Me); Liz Watts and Vincent Sheehan (Netflix’s The King); Anna Vincent (I Am Mother); Steve Jaggi (Rip Tide); Scott Corfield (Don’t Tell); and Kristian Moliere (The Babadook). 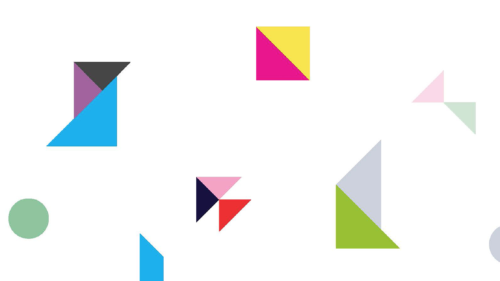 Supported by Create NSW, Film Victoria, Screen Queensland, the South Australian Film Corporation and Screenwest; the delegation will be joined by CEOs and development executives from these same state government screen agencies. The goal of this international initiative is to provide strategic opportunities for Australian producers with commercially viable feature and television projects that hold international appeal. The program also supports Ausfilm’s corporate membership of screen services businesses, by connecting these companies to both U.S. film and television executives and Australian producers. The program runs from 14-17 April. Polly Staniford is a creative producer, writer and director and a founding partner of Aquarius Films. She produced Berlin Syndrome, which sold in a seven-figure deal to Netflix and had a worldwide theatrical release in 2017. The film was nominated for eight AACTA awards. Staniford also produced The Other Guy, a six-part narrative comedy series for Australian streaming platform Stan (and has sold to Hulu in the U.S.) and is currently in production on series two. Staniford is also currently in post-production on the 15 x half hour series, The Unlisted for the Australian Broadcasting Corporation (ABC) and the film adaptation of Australian author Tim Winton’s critically acclaimed book Dirt Music. Carver Films launched in 2015 as a partnership between producers Anna McLeish and Sarah Shaw. Together they produced Justin Kurzel’s Snowtown (Cannes); Ariel Kleiman’s Partisan (Sundance) and recently the SBS TV drama series Sunshine which picked up the 2017 AACTA for Best Mini-Series. Carver is currently in post-production on Relic which is being produced in partnership with Nine Stories’ Jake Gyllenhaal, Riva Marker and with AGBO’s Anthony & Joe Russo executive producing. Former Screen NSW (now Create NSW) and Screenwest CEO, Tania Chambers returned to her producing origins and set up Feisty Dame Productions in 2012. Chambers has been busy producing the comedic thriller, Kill Me Three Times for Entertainment One; comedy feature A Few Less Men for StudioCanal and Arclight Films; and was executive producer on two factual series: Turning Point and End of Empire for Foxtel/The History Channel/Sky Vision. Chambers is currently in production on the 10 part action-adventure children’s series Itch for ABC Australia and ABC Commercial. Jason Byrne is an independent producer known for the YouTube record breaking web series How to Talk Australians and feature film Sucker with Madman, starring Timothy Spall. Byrne is currently in production on feature films The Girls and No Prisoners. Clayton Jacobson directed the Australian box office hit Kenny and feature films The Girls and No Prisoners and later produced and directed Kenny’s World for Australia’s Network10 and has since directed and starred in numerous Australian television series. The two have teamed up for the black comedy feature film Brother’s Nest, with Byrne and Jacobson producing, Jacobson also stars and directs. The film premiered at SXSW and was nominated for two AACTA Awards for Best Original Screenplay and Best Indie Film. With over 17 years working in development and production Rikki Lea Bestall has an enviable track record working on some of the world’s most popular films. 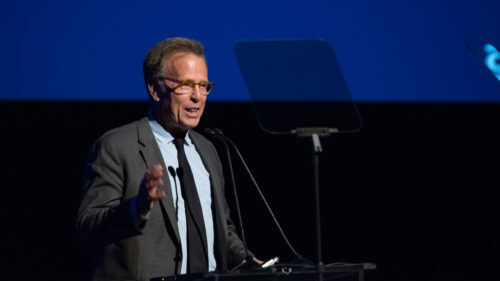 Bestall worked in Los Angeles as Vice President of Development and Production at Sony Studios with producer Gary Foster (Sleepless in Seattle, Tin Cup). During her stint in L.A., Bestall co-produced two studio films: The Soloist (Dreamworks) and When in Rome (Disney). Bestall returned to Western Australia in 2009 to join Screenwest (WA’s peak film financing body) and assisted in the development and production of many successful Australian screen productions. After leaving Screenwest, Bestall started Indian Pacific Pictures in June last year. As well as Indian Pacific’s current scripted slate, Bestall continues to collaborate with L.A. Producer Gary Foster on a number of feature film projects. Dena Curtis has broad experience in production across editing, writing, directing and producing and previously worked at the National Indigenous Television (NITV) and the Australian Broadcasting Corporation (ABC). In 2015 Curtis established her production company Inkey Media. Curtis produced the award-winning NITV/ABCME Children’s live-action television series, Grace Beside Me; was co-producer on documentary series, Shadow Trackers for SBS/NITV; co-producer on the feature documentary Ella; and series producer of documentary series Elements produced by WildBear Entertainment for France 5 and NITV. Two of Australia’s most experienced and prolific producers, Liz Watts and Vincent Sheehan, are in post-production on two major films. Watts is producing and Sheehan executive producing in partnership with UK’s Daybreak Pictures the adaptation of Australian author Peter Carey’s True History Of The Kelly Gang with Justin Kurzel (Macbeth, Assassin’s Creed) directing. In partnership with Brad Pitt’s Plan B Entertainment, Watts is also producing the Netflix feature The King from a screenplay by Joel Edgerton and David Michôd (Michôd is also directing). Watts is executive producing the fourth series of Animal Kingdom currently in production for TNT in the U.S., based on their internationally acclaimed feature film from writer/director David Michôd which was reformatted for television by Warner Bros. and producer John Wells (ER, The West Wing). Anna Vincent is a film producer working locally and internationally across features, documentary and television. Recent credits include sci-fi thriller I Am Mother (Sundance 2019) starring Hilary Swank and Rose Byrne; and Pia Borg’s docu-drama Demonic, commissioned by the ABC (AFF 2018). Other credits include UK co-production Chasing Satellites with director Jim Loach; and break-out body image documentary Embrace (SFF, NZFF 2016) which sold internationally following 100+million internet views of the trailer. Steve Jaggi produced on the teen film Rip Tide – one of the top 10 grossing Australian films of 2017 and has been trending globally on Netflix. Jaggi also produced the tween soccer film Back of the Net which releases theatrically in Australia in mid-April 2019. Other recent credits include Zelos, which received an Australian theatrical release and has played at over 20 international film festivals and family film Spirit of the Game, released theatrically in the U.S. by Samuel Goldwyn (also theatrically in Canada and Australia) and internationally by Sony. Scott Corfield is a producer and director. Corfield produced the gripping feature film Don’t Tell based on true events that changed child protection laws in Australia and this court case served as one of the many catalysts for Australia’s Royal Commission into Institutional Child Sexual Abuse. The film was nominated for four AACTA awards and the Feature Film Audience Award at the Newport Beach Film Festival in 2017. Following Don’t Tell Corfield executive produced the comedy web-series Welfare for Ozflix starring Steve Bastoni, Peter Helliar and Pia Miranda, due for release in mid-2019. Corfield is in development on the feature The Nut Farm and a range of film and television projects with producer, Stephen Roche. Kristian Moliere produced horror-thriller The Babadook written and directed by Jennifer Kent, which had its world premiere at the 2014 Sundance Film Festival to great acclaim, selling to the U.S., the U.K., France and Germany and was released theatrically in numerous territories around the world. The film won the 2015 AACTA Award for Best Film. Moliere also produced the television miniseries, Wake in Fright for Australia’s Network 10, which received seven AACTA nominations in 2017. 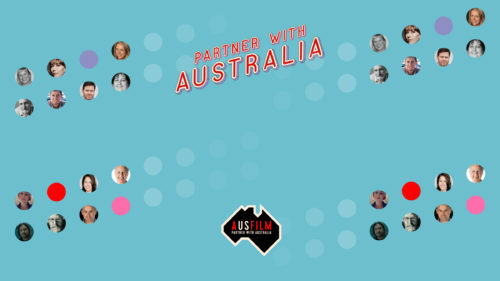 Ausfilm’s annual Partner with Australia program was introduced in 2008 in Los Angeles. With an office in Los Angeles, Ausfilm is well placed to connect the U.S. market with Australia’s screen industry and works in partnership with Screen Australia and the state government screen agencies to promote Australian creatives in this market. The selection process was managed by the state screen agencies and producers must have a significant track record or production credits with commercial success or critical acclaim to be eligible. Ausfilm promotes Australia’s screen production incentive schemes, locations and screen production companies and capabilities to assist international screen producers to locate their productions in Australia or to engage Australian post and VFX companies. Ausfilm is an Australian industry-government partnership. It comprises Australia’s federal and state governments, the major studios and the leading post, sound, music and VFX facilities and production service providers. 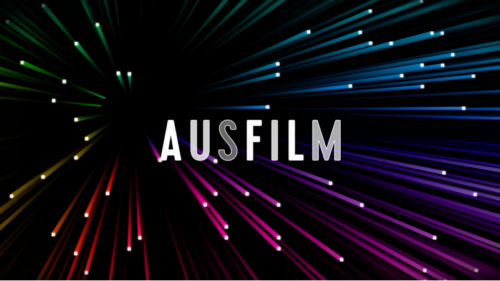 Ausfilm has offices in Los Angeles and Sydney. For more information visit www.ausfilm.com.